It’s no secret. You became a real estate investor to make money — to take life by the horns, leaving behind bosses, managers, and other authoritarians. You dreamed of freedom for yourself and freedom for your family. During the week, you’d be able to work a bit and play a lot. You’d have plenty of time to spend with your kids and plenty of time to spend on your hobbies. Money wouldn’t be an issue… and neither would time. But of course, things turned out more difficult than you first anticipated. Lots of people you see on Facebook and maybe even know in person are making hundreds of thousands (or millions) of dollars per year with their real estate businesses. It’s all impressive. It’s all inspiring. But it’s also kind of frustrating. Why aren’t you experiencing regular and remarkable success with your real estate business? What gives? Well, every business has its ups and downs, its ebb and flow… but if you’re consistently not getting the results that you expect in your business, you’re probably making a mistake — the same mistake that most real estate investors are making. Scrolling through your Facebook feed for too long can do a wonderful job of making you feel like the only one in the world whose real estate business isn’t performing like you dreamt it would. But of course, that’s not true. Lots — and I mean lots — of real estate investors are struggling to generate consistent leads and close deals every month. Many of them probably haven’t even made it as far as you. Those people aren’t posting on Facebook and Twitter about all their failures, which means you’re getting fed a constant stream of statistically skewed information. The winners post about their wins and become influencers. But there’s 1,000 (maybe even 10,000) people for every one winner who are struggling just like you. The statistical rate of businesses that succeed in the general entrepreneur environment is enough to prove my point; some studies report a five-year failure rate of 90%. So… you’re not alone in the struggle. 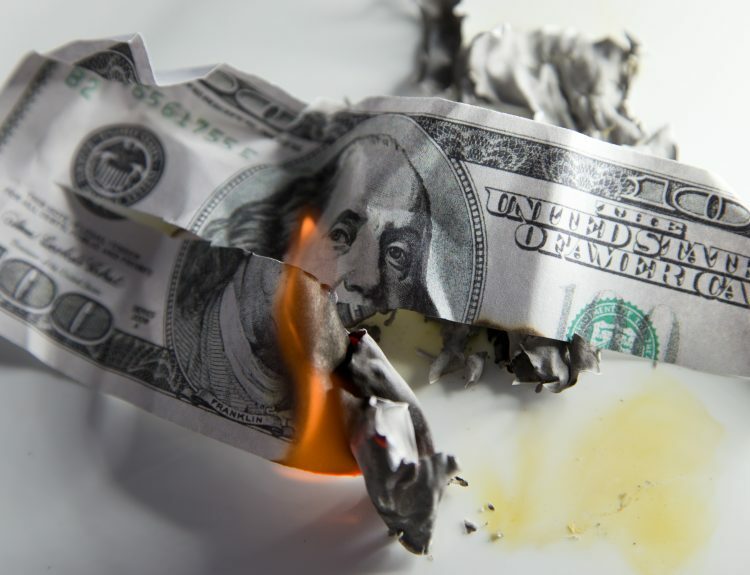 Having said that, the #1 reason I believe that entrepreneurs — and real estate investors, specifically — leave money on the table and never see their dreams of freedom come to fruition is because their business model is far too rigid. They refuse to adapt their service to the market’s demands. Here’s the good news: as an entrepreneur starting a business and dreaming of freedom, you couldn’t have chosen a better industry. 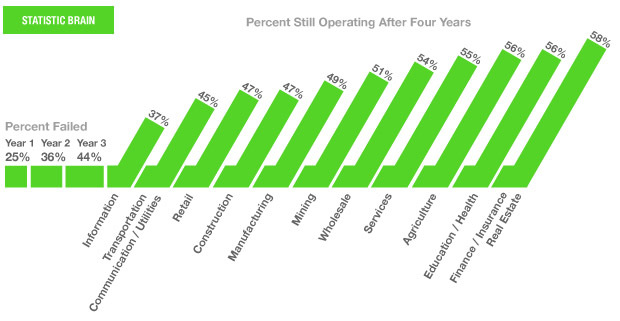 Right next to finance and insurance, real estate is at the statistical peak of entrepreneurial success. In other words, you’ve thrown your eggs in the right basket. So don’t get too discouraged by the earlier stats. My point isn’t to make you feel like building your business is impossible; it isn’t. My point is just to explain to you that you aren’t the only entrepreneur struggling — every entrepreneur struggles at some point. And the above graph proves that, even though building a business is always tough, you’re in good hands in the real estate industry. In fact, you’re in such good hands that there are a ton of different ways to make money in real estate. You have fix-and-flippers, wholesalers, agents, and 100 other strategies that I don’t have the time to type out right now. Why are there so many different strategies? Because when it comes to trading real estate, different markets needs different things. One market might have a lot of owners of distressed properties that need to be sold fast for cash while another market has a high demand for single-family rentals. The problem is, it’s insanely difficult to know what your market needs until you start trying to build a real estate business in that market. 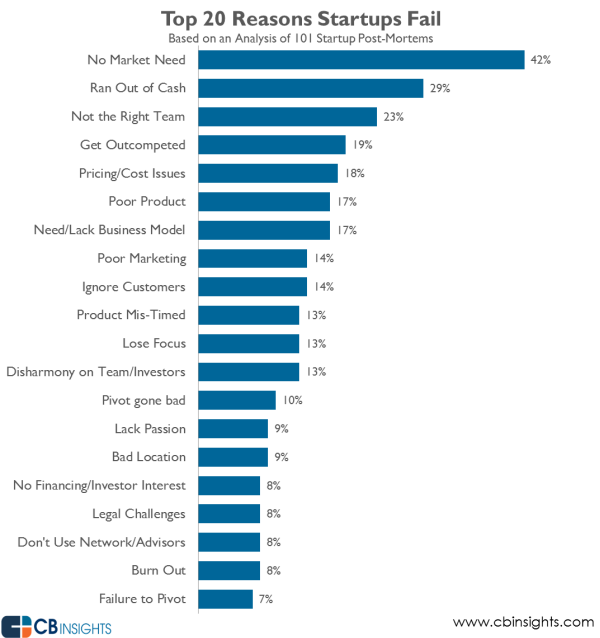 And the #1 reason that startups fail? 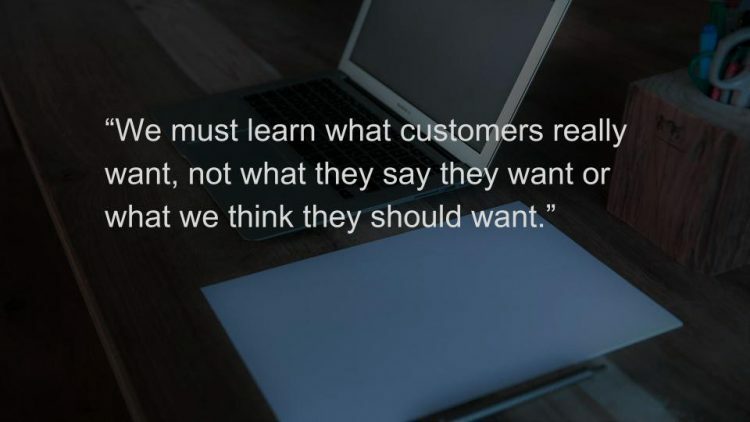 In other words, the #1 reason that startups (or real estate investors) fail is because the product (or service) that they offer isn’t in line with what the market needs. 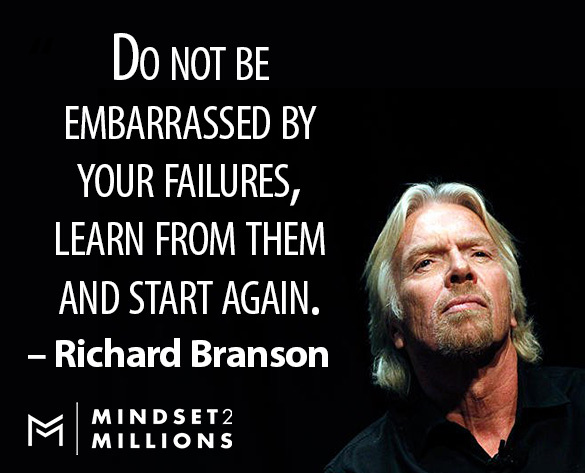 That might be the single most important lesson you learn along your entrepreneurial journey. And it applies best to your current real estate investing business. Look — you can build a real estate investing business that only wholesales houses or only flips single-family homes. I won’t deny it. Lots of people have done it. But you know what’s far easier to build? A business that adapts to your market, that meets your prospects where they are with what they need. Maybe you start as a wholesaling business, but then get a call from someone who needs to find an affordable rental, so you fix up some of the distressed properties you have in your market and turn them into rentals, filling that gap. Or maybe you find that there’s a big desire for vacant land in your area of operation, so you buy and flip a few lots. The point is, the most successful real estate investors are the ones who never stop learning, who adapt with their market, and who refuse to let a single lead go to waste. They do everything in their power to help the people who dial their number and, by so doing, become far more lucrative and profitable than their less flexible counterparts. If you’re consistently turning leads away because they need a service which you don’t offer (yet), then you’re leaving money on the table — lots of money that another savvy real estate investor is going to pick up the moment they get the chance. So why not spend some extra time getting to know your market, learning what they really need, and adjusting your business to be more flexible and offer multiple services? It might just make the difference between seeing your dreams of freedom come true… or sitting on the sidelines as other flexible investors scoop up all of your market’s prospects.